But, it's magical that I spent my new year back in town, to feel the early 2014 by doing road trip from Bandung to Malang by car! Isn't it awesome? And no wonder, this zoo had become my number one on my 'to visit' list. Come to think of it, I've never been to a zoo for a decade and I hope you can understand the feelings. And also, I'm a good auntie who wants to make my cute niece happy! 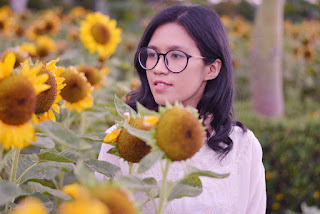 It took about 1 hour from my house in Malang to get there, luckily the road was fine, no major traffic and the weather looked good; blue sky, pleasant air, nice trees along the way. Oh, Malang, you really know how to greet me. Me and bf. My niece said it well. 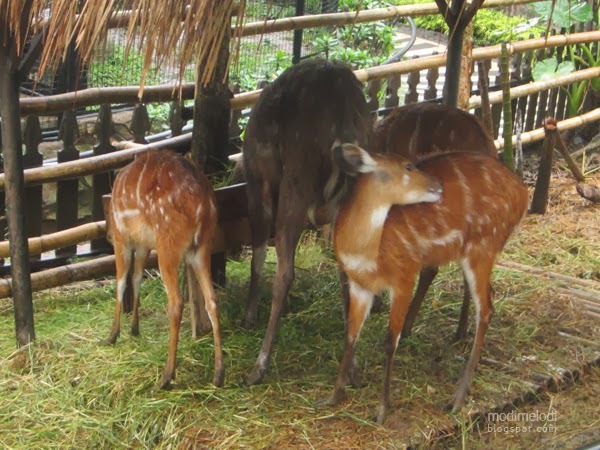 Parking fee is IDR 5,000 and the entrance fee for Batu Secret Zoo and Museum Satwa costed IDR 100,000 at that time, it's valid for everyone taller than 85 cm. I'm pretty proud and irked at the same time. Lol, we had to pay full ticket for my 3 years niece just because she's 90 cm already?! "That couple is aunt' and unca'!" Ow, yeah, she was referring me and my bf. And minutes later she kept mentioning every monkey as... "That's mom! ", "That's dad! ", "That's Meryl" -her lil's sister. 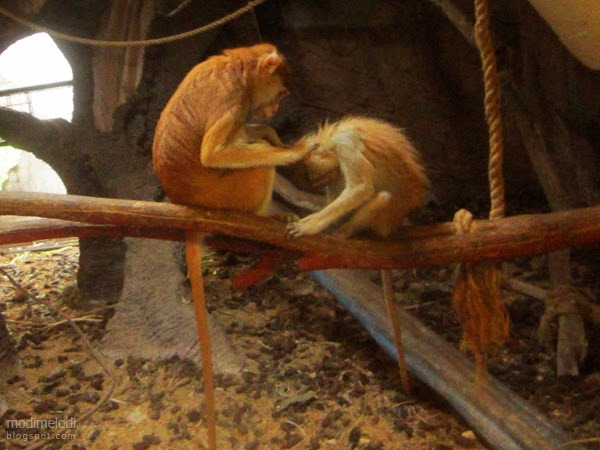 So I think, our family does resemble these monkey mates. 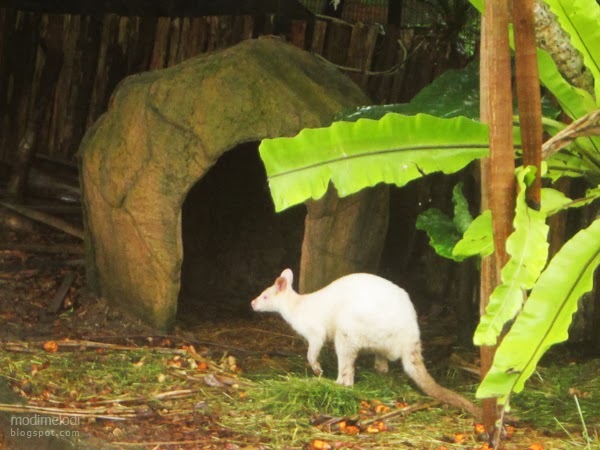 This cute Bennet Wallaby somehow strengthen my motivation to go to Australia, someday, soon. I really wanted to get close to it, but... That mixed feeling, scared of being kicked made me stay out of it and just secretly took the picture and moved forward. 3) & 4) I don't know. My biggest obsession is to adopt a (mini) hedgehog and a skunk as pets, you wouldn't believe how cool is that. Hedgehog is cool, the fact I love their way of protecting themselves and skunk is... unique, no matter how you look at them. Actually, we were trapped by the rain at 2 pm so we couldn't enter the zoo directly, instead waiting for about 1,5 hours. 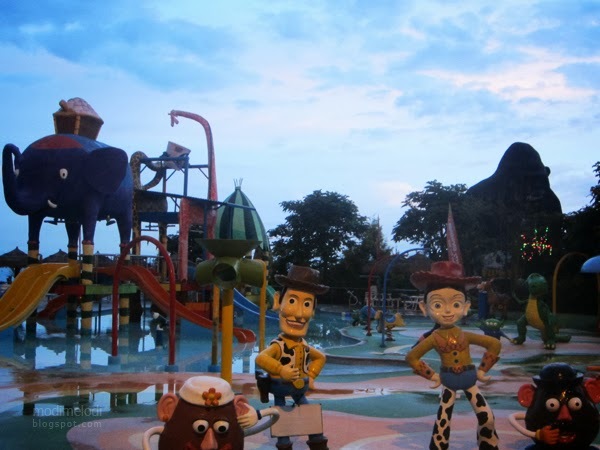 We missed so many attractions and chances to have fun at the playground. I'm quiet disappointed by the way. And moreover I was waiting for the flamingo making a 'love' sign but they didn't. 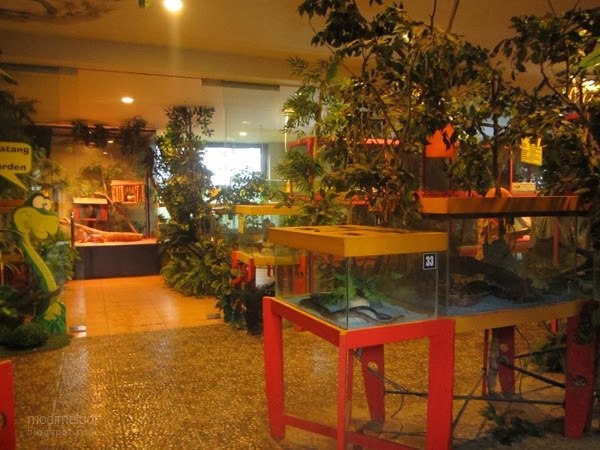 Reptile garden is somehow making you blow your imagination wilder. You'll see anaconda, rattlesnake, and crocodiles. But the most irritating was because most of those snakes were shedding, you know, changed its skin. So pretty much, I was trembling inside. Yes, see the snake shedding! I entered the aquarium at 5 pm, no wonder the electricity had been turned off and I couldn't enjoy my sightseeing. I couldn't see fishes, how painful. Savannah is where you will feel the ambiance of walking through the forest. But, once again, I was late. No animals were shown there. Empty forest detected. 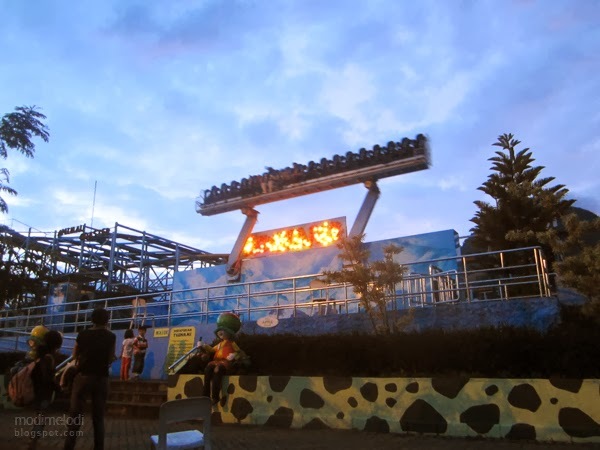 By 5.30 pm, some of the attractions had been closed and the announcer was ready to drive us out. lol. The pool was already drained. Some of them enjoying their last ticket, but the guard hurriedly said they're closed when it's my turn. Grr. 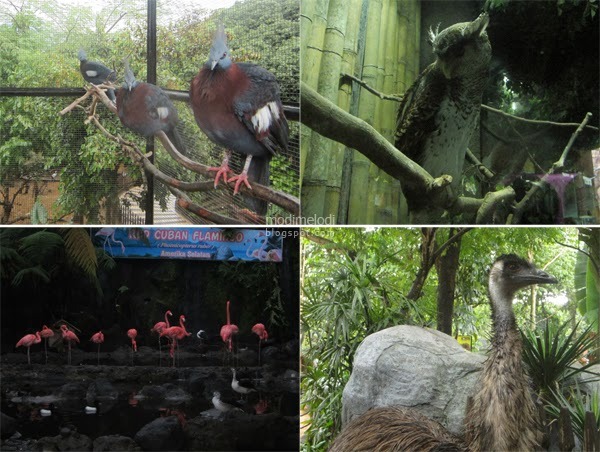 But it makes me want to visit this zoo again (just to feed my dissatisfaction). 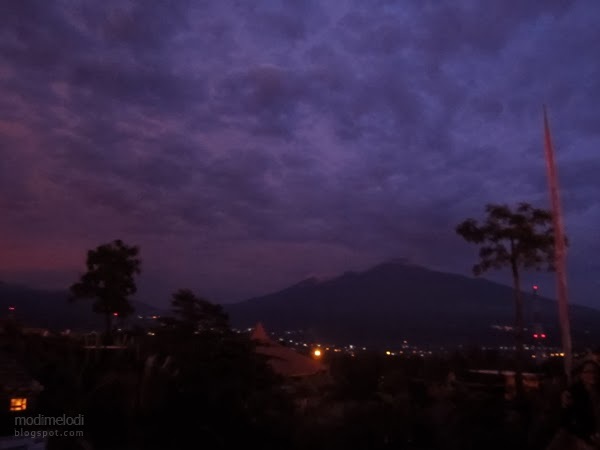 But, Malang at night, I know I'll keep missing you. 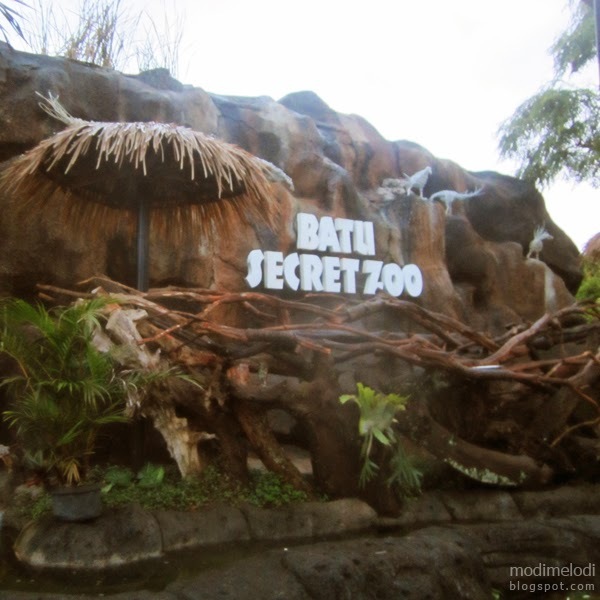 Batu Secret Zoo is part of Jawa Timur Park 2.
located in http://jawatimurpark2.com (I know it's not an address, but actually once you're in Batu, Malang, you will notice so many direction signs lead you to this park). *ticket valids on January 2014, when I was there. I don't notice any sign to prohibit you bringing food from outside but, still pay attention to do so. There are so many minimarket selling things with more expensive price, of course. But the restaurant outside the zoo offer a good range of food with good price, however. And, along with buying the ticket entrance you will get some coupon discounts to be used in certain merchants. Use that! 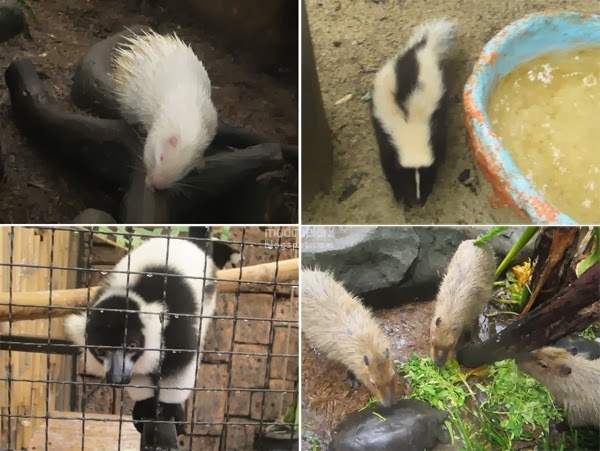 You're suggested to enjoy Batu Secret Zoo FIRST, and it's better when you can get here exactly on 10, so you will have times to enjoy sightseeing, see animal performances and play on the playground (Fantasy Land), there by 4 pm you can continue to Museum Satwa until 6 pm. I was wrong on my first visit, I visited Museum Satwa and wasted most of time there. Batu is pretty cold, use jacket and don't forget to bring your umbrellas! You don't want rain stopping your journey. You can't compare this zoo with Taman Safari, Bogor & Bali or the playground with Dunia Fantasi, Jakarta - those are far better. But, as I've said, I have a 3 years old niece, and this zoo looks more than enough to show her kinds of animals. She was strong enough too to walk along the road without using vehicles (e-bike, that you could rent). 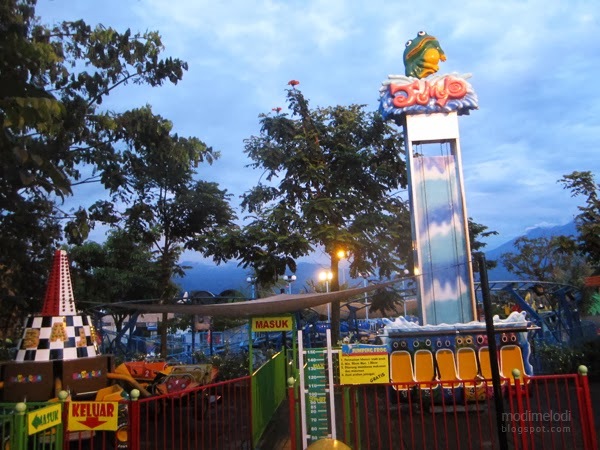 This is for you to enjoy Malang and feel the air of Batu. 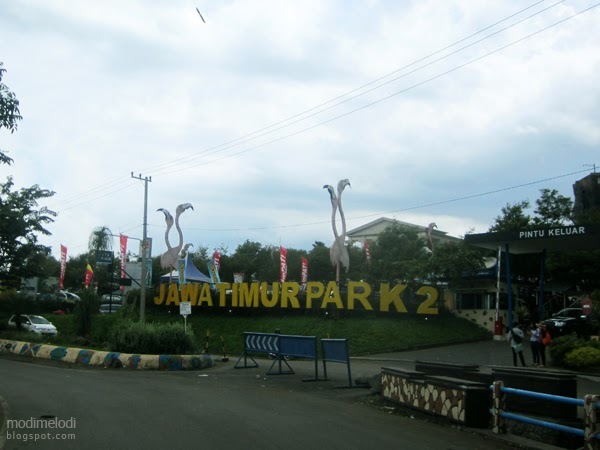 Which angkot that pass this park? thank you. 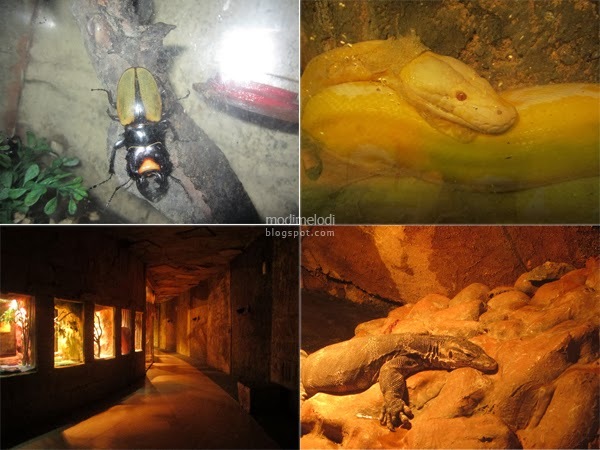 If you go to Secret Zoo from Malang. 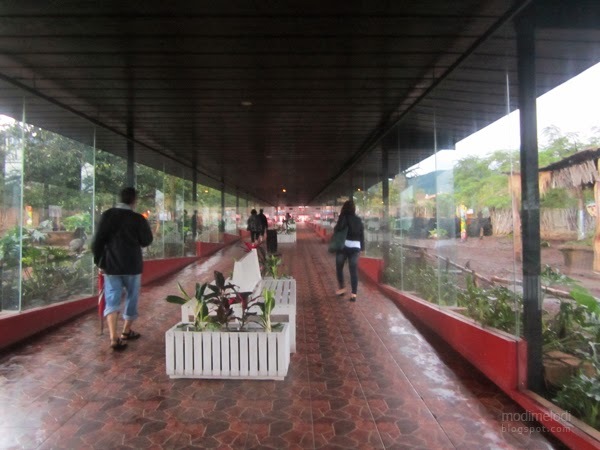 First you have to be at Terminal Landungsari to get angkot BL (Batu - Landungsari) head to Batu. Then you can continue with ojek once arrive in Batu. Sorry if I couldn't provide specific answer since I haven't tried myself. Good luck! Waahhhh...... Nunggu undangan ya baru kesana wkwkwk..